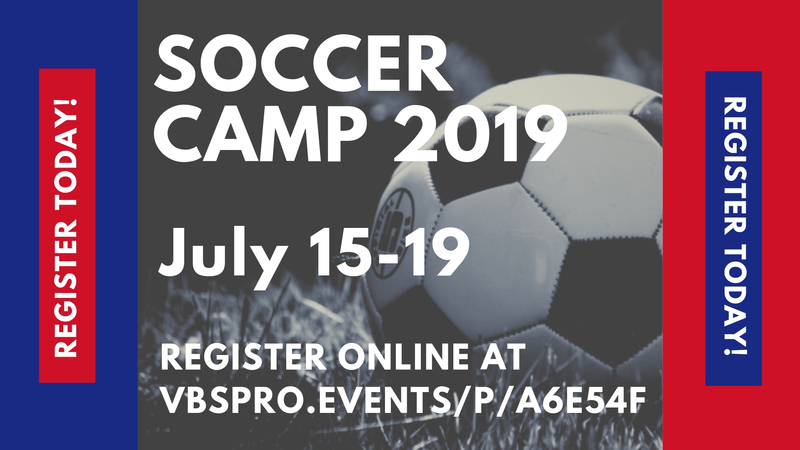 Join us for a fun week of soccer on July 15-19,2019! Early Registration: $95/child (if registration is received by May 31) with a $10 discount for each additional child registered from the immediate family. Regular Registration: $110/child (after May 31) with $5 discount for each additional child registered from the immediate family. Registration fee includes a daily snack and a camp t-shirt.